It’s crucial to keep warm in the winter. Dropping temperatures can affect your ability to fight off infections and viruses. People who are particularly at risk of developing a cold-related illness are those who suffer from a long-term health condition or elderly people. Heating a house costs a fortune in this day and age. 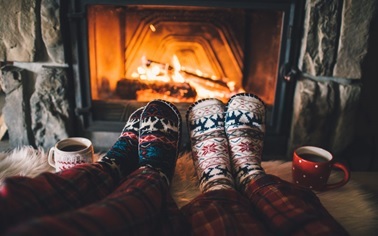 With this in mind, it’s imperative you do all that you can to save money on your heating bills, in order to do that, let’s take a look at how to find cheap ways to keep warm this winter. There are various tips and tricks you can employ when it comes to finding cheap ways to keep warm this winter. You may not have considered it, but hanging thicker curtains at your windows is an easy way to keep the heat in your home. Also, heat from the sun is free, as is harnessing it! Thick curtains reduce the level of air exchange between your cold windows and the rest of your house. Cool air is trapped behind your curtains, allowing the rest of your living space to maintain its heat levels. Generally speaking, fabric is a poor conductor. This means that it isn’t good at transferring heat. 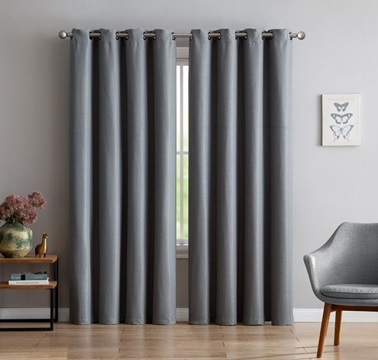 To be effective, your curtains need to be heavy and to cover the entirety of your windows, preferably reaching the floor. Thermal curtains are a good choice as these are thick and have an air barrier that effectively blocks any air flow. Keep them firmly closed in the evenings and at night. Remember to open them during the day to let sunlight in. Fitting your home out with heavy curtains does incur a one-off expense. However, you’ll save energy as a result. By keeping your feet warm in a heated foot warmer, it can actually warm up your whole body. For only a small upfront cost, you can reduce your energy bills as a foot warmer can eliminate the need to use central heating or even portable heaters. 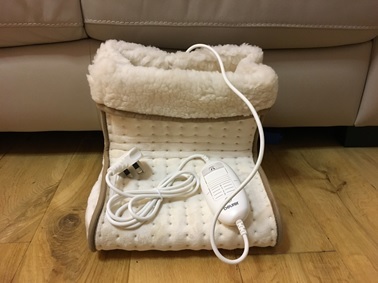 In addition, if you aren’t feeling too cold, then you can still use the foot warmer boot just to keep your feet inside without plugging it in! There are plenty of choices to choose from including ones that don’t use any electric at all, some designs are simply a hot water bottle for your feet. If you like the sound of a using a foot warmer, then check out our best electric foot warmers. A draughty home is a cold one. Figures from the Energy Saving Trust estimate that by draughtproofing your home yourself, you can save as much as £25 per year on your heating bills. 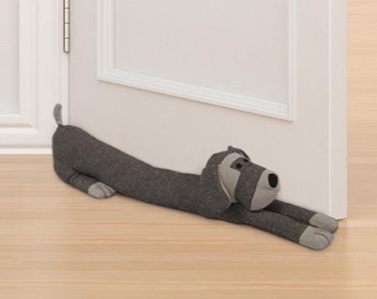 Even simple steps such as making your own draught excluder to place behind doors is a positive step. You can also try placing self-adhesive rubber seals around windows and doors. Additionally, door draught excluders are fairly easy to install while still being cheap. Draught-proofing your home one is the best ways to keep warm. Block out any unwanted gaps that allow warm air to leak out and cold air to enter your living space. When you save warm air, your home takes less money and energy to heat. You should work on draught-proofing your home before the big chill sets in. This way, you’ll be completely ready for any bad weather coming your way. Keeping warm in winter is tricky. You may think that electric blankets are a thing of the past, however, they’re a wonderful way to provide localised heat in your bedroom. Modern models use low-voltage wiring, making them far safer than the old-fashioned ones that once were once considered to be a fire hazard. 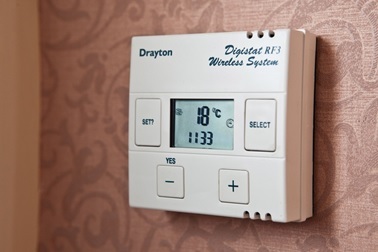 Heating your entire home throughout the night is expensive. An electric blanket provides heat where and when you need it, thus, saving you money while you stay warm. An electric under blanket provides you with uniform warmth without having to add layers of blankets. That’s a saving right there! You can expect to pay in the region of £20 upwards depending on the manufacturer. If you’re wondering how expensive they are to run, according to Which consumer guide, they’re not prohibitively so. In tests, running the most energy-efficient model over six months, for two hours a day every day, the cost came to only £2.99! Even the least energy-efficient came up at £8.06 when run for the same amount of time. When you’re searching for things to keep you warm you might think of blankets and throws. Heated throws are useful no matter where you are in your home when you’re looking for the best way to keep warm. Unlike electric under blankets, you can carry your throw around your home. It can be used to stay snuggly and warm while watching TV on the sofa or even while you’re working at your desk. You can also use heated throws just like you would a normal blanket. Just detach the cord. They’re also aesthetically pleasing and come in a range of fabrics like faux fur. Heated throws come in a range of sizes too. You can even buy one you can fit the whole family under! Generally, heated throws tend to cost in the region of £30 upwards. This is a good investment as you won’t have to crank up your central heating when you’re using one. It’s tempting to put on the heating at the beginning of winter and to leave it on for the entire season. With nights getting longer and darker and the temperature dropping outside, your home needs to feel like a safe, inviting haven away from the elements. However, bear in mind that you don’t need to have the central heating on when you’re not at home. By using your radiators cleverly, you can reduce your total energy consumption while still making sure your home is heated to a comfortable temperature. By using your radiators carefully, you could potentially save between £80 and £165 per year. 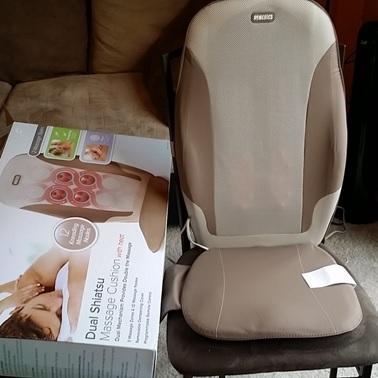 With all that money you’re going to save on heating, you could splash out on a massage chair pad with heating. These keep you warm while also giving you a massage at the same time. Models vary in price and start at an affordable price. Keep a look out for sales running throughout the colder months. Massage chairs vary in terms of function. All will provide you with a deep massage that will soothe any aches and pains. Tension and stress will also be released. Along with the heating element of the equipment, you’ll sail blissfully through the long winter days. Installing radiator reflector panels is another inexpensive way to keep your home warm. These create a thermal barrier that ensures the heat from your radiators is directed back into your room. The panels also reflect heat back into your radiators themselves. Water is returned to your boiler at a higher temperature. Consequently, the heating system needs less energy to reheat the water in the boiler. A cheap way to create your own radiator reflector panels is to buy some reflective roll from a DIY store. Radiator foil is inexpensive, coming in at around £6 per roll. You can even use tin foil if you’re strapped for cash. Winter is a harsh season for a number of obvious reasons. When it comes to heating your home, inclement and freezing weather can make a huge dent in your finances. Turing down the thermostat can help you reduce the costs and employing some of the above tips for staying warm in winter will ensure you’re lovely and toasty throughout the season without breaking the bank.